An old friend requested this recipe from me after she discovered my page. I can't believe I haven't posted this recipe yet. I make this recipe ALL the time! 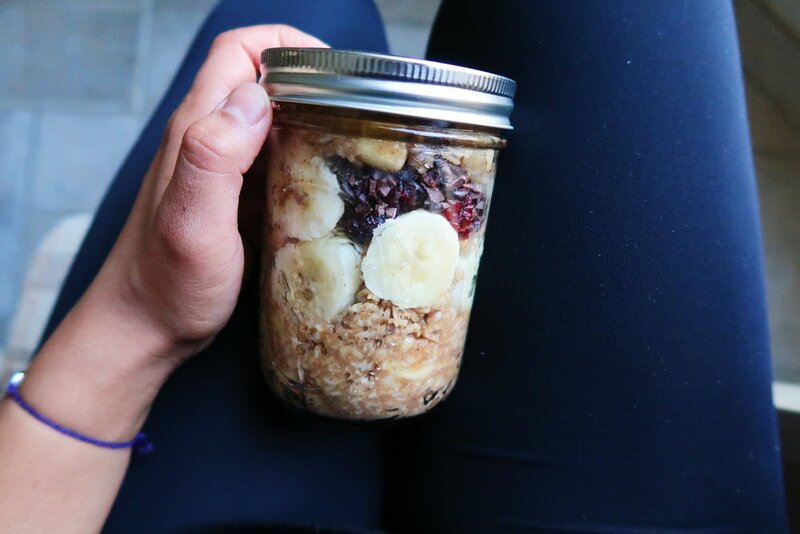 It's one of my go-to oatmeal recipes. 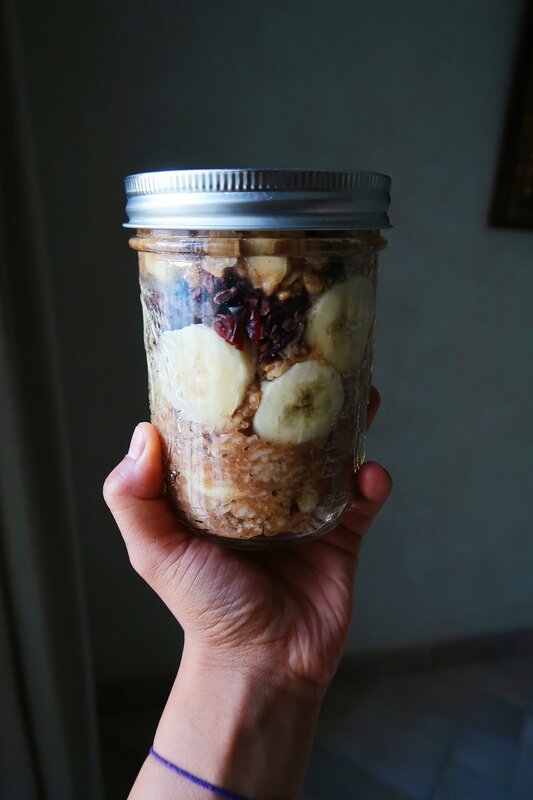 Whenever I have ripe bananas (spotted and a bit soft) I make a few jars of oatmeal and eat it for breakfast, lunch, or dinner the next few days. It's easy and quick. And personally, I don't need to add any sweeteners, as I find the bananas and cinnamon add enough flavor and sweetness. Eat it right away, or for better taste, let it chill in the fridge for 4 hours or so. Toppings: Cacao nibs, almond butter, peanut butter, dates, dried cranberries, goji berries, etc. *If you want your oatmeal to be creamy, then add the oats with the water from the beginning. *Feel free to add maple syrup, date sugar, or coconut sugar, if you want it to be sweeter.